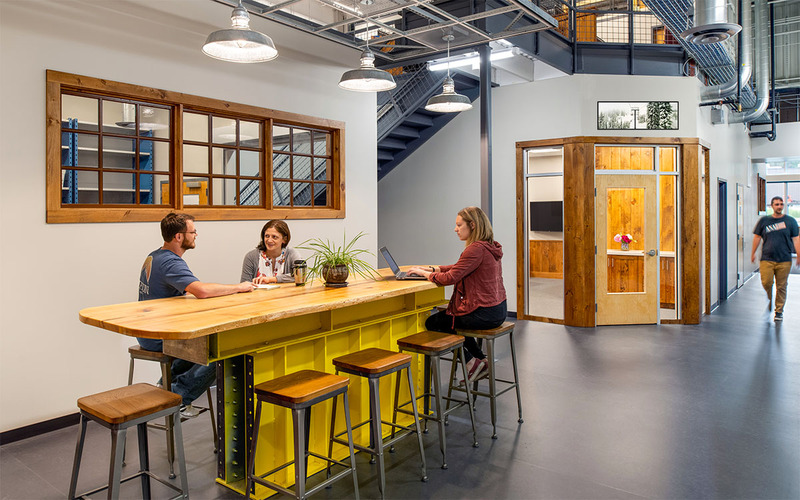 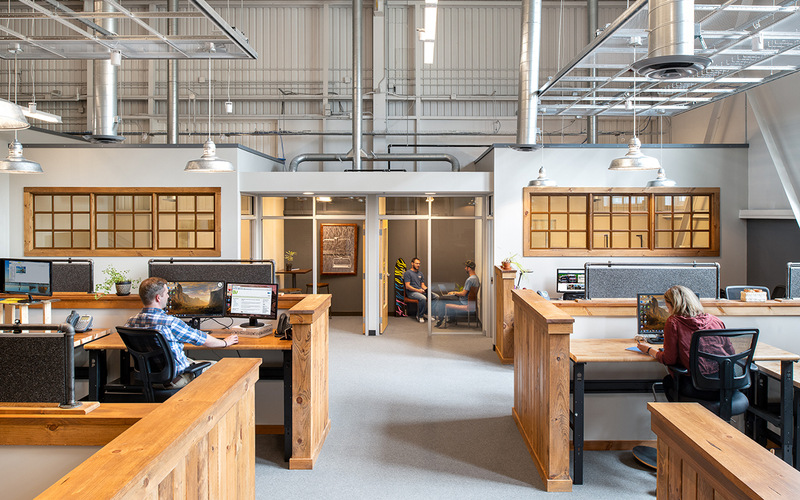 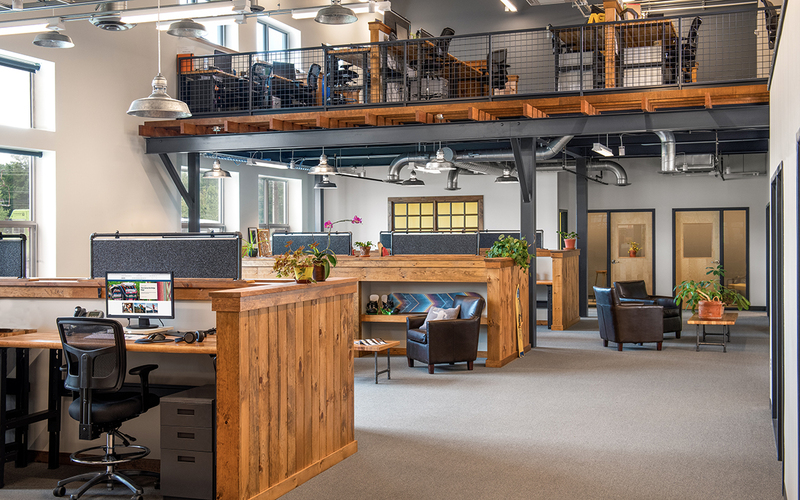 This renovation project creates an open-work environment that merges the industrial nature of the existing facility with warm wood finishes to create a new home for the Finance and IT departments at Burton Snowboards. 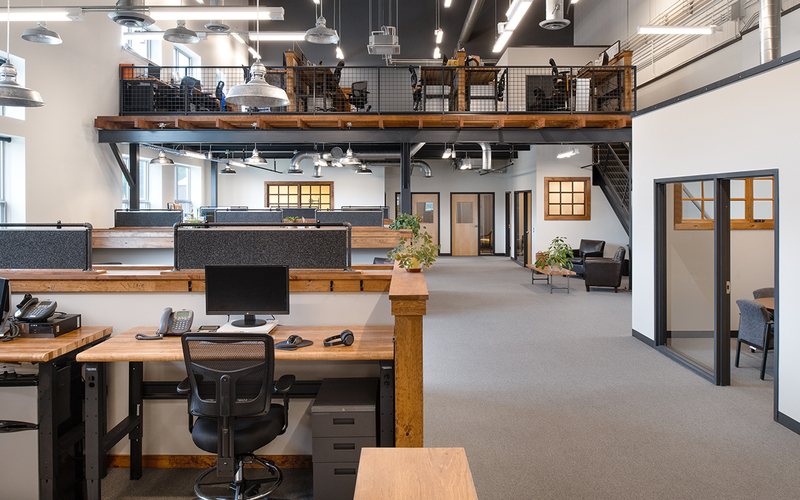 Windows were added, and existing ceilings were removed to reveal the full height of this former warehouse space. 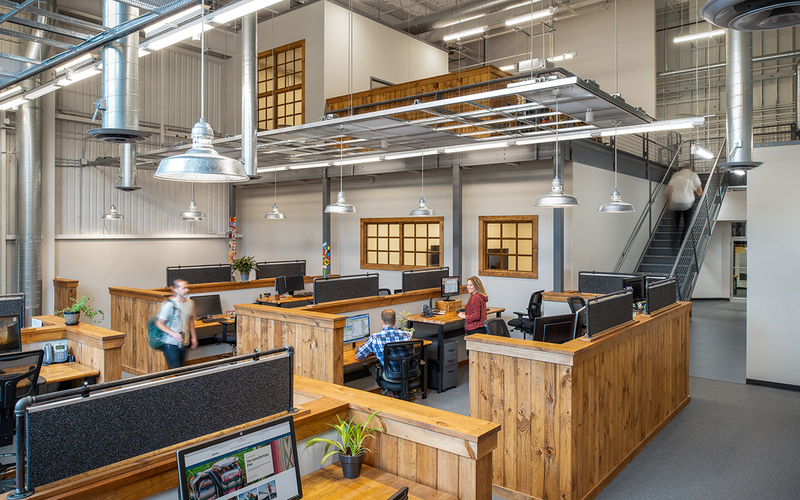 Low partition walls provide privacy between desks and create community gathering spaces for collaborative and social interaction.